On the 22nd July 2015 Lord Aberdare asked the Government ‘how they plan to ensure that the United Kingdom retains its global position in the creative sector in the light of plans announced in June to require all state secondary school pupils to study five English Baccalaureate core subject areas, which exclude any music, arts or culture element’. 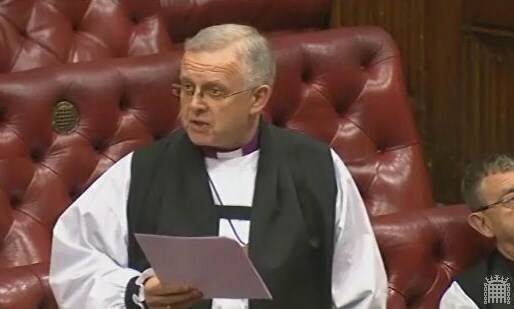 The Bishop of Peterborough, the Rt Revd Donald Allister asked a supplementary question. The Lord Bishop of Peterborough: My Lords, does the Minister agree that education is about not just national productivity but the whole of human flourishing? The arts, music and cultural subjects in general are essential to that. Lord Nash: I agree entirely with the right reverend Prelate. Core cultural studies must include the arts and creative subjects, and from September 2015 Ofsted will inspect pupils’ welfare and engagement in these kinds of studies and activities.